The best memories are made when you are able to unplug from technology and enjoy more simple things. This is exactly what we did this past weekend when we took the little monkeys out to fly kites. The wind was sporadic, so although we would be able to get the kite up, it wouldn’t stay up for long. 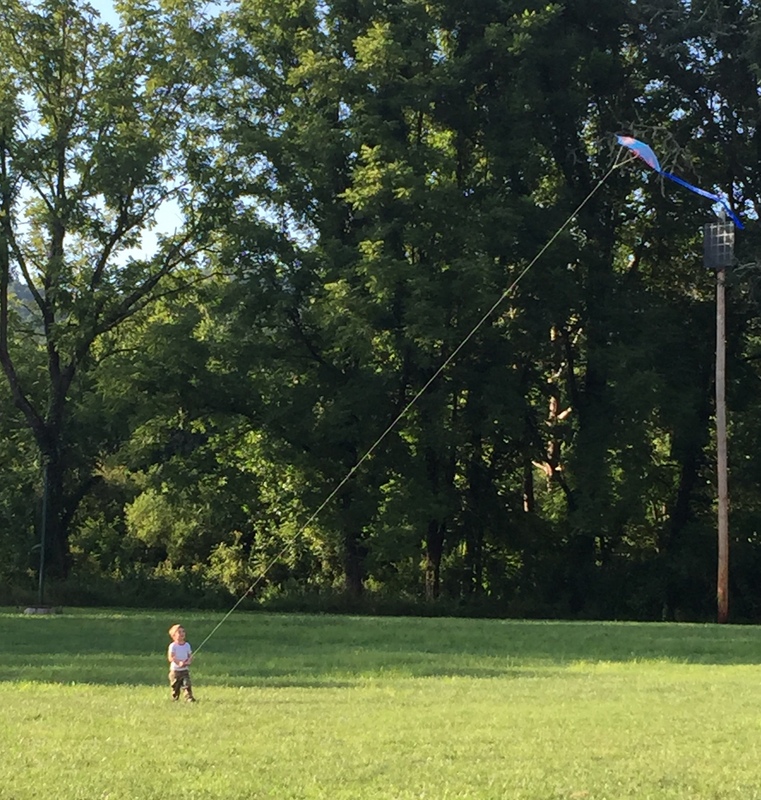 Finally, they figured out that if they would run when the wind started to die down, they could keep the kite up longer. 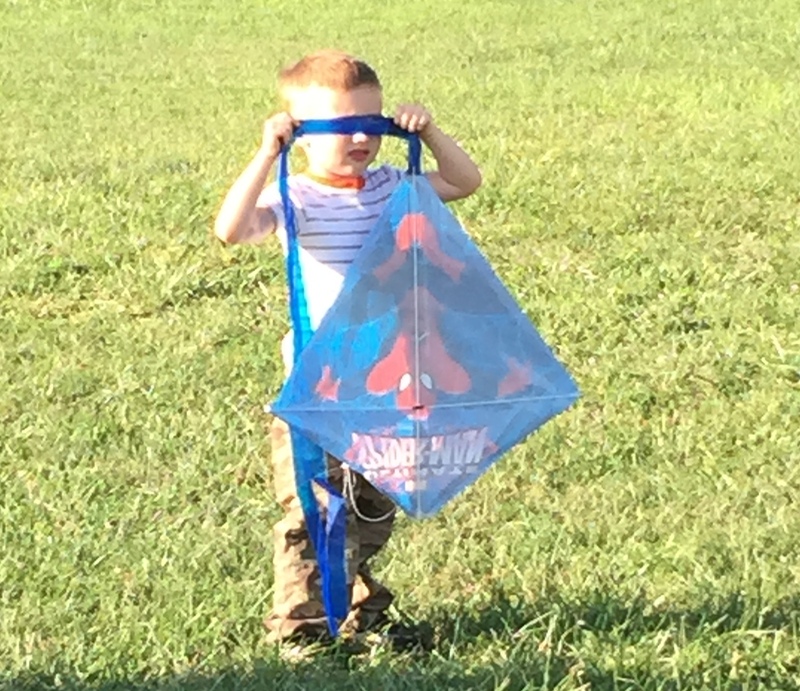 But then they got tired of running, and little man decided the tails of the kite worked pretty well as a blindfold. Isn’t that just like life? We’re trying to stay the course and focus on the goal, and then we get tired of all the obstacles in our way and get sidetracked and our kite falls to the ground. When, if we would have just kept running, we might have experienced our breakthrough and been able to keep our kite flying until the wind picked up again. Life has certainly been like that for me lately. I’m heading in a new direction… although I’m not yet sure where. I think I know where I want it to lead to, but I also want to make sure it’s God’s will. It would be easy to give up on the dream and go back to what I know, to what I’ve been doing for the last 20 years, because at least I know where I fit there. But, I also know I wouldn’t be happy there. It’s not where I’m supposed to be anymore. 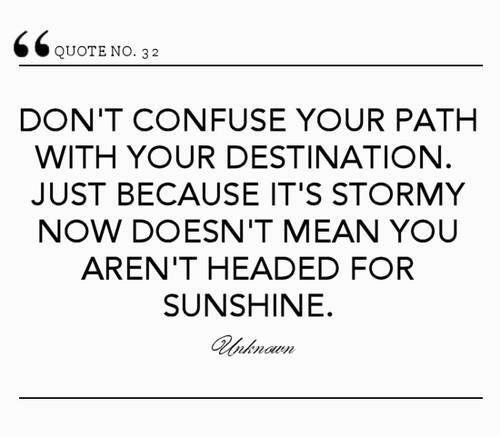 So, instead, I pray I have the stamina to stay the course until the direction becomes clear, even if the wind isn’t blowing my direction for a little while. And then, I pray I have the courage to jump and take the risk laid before me. 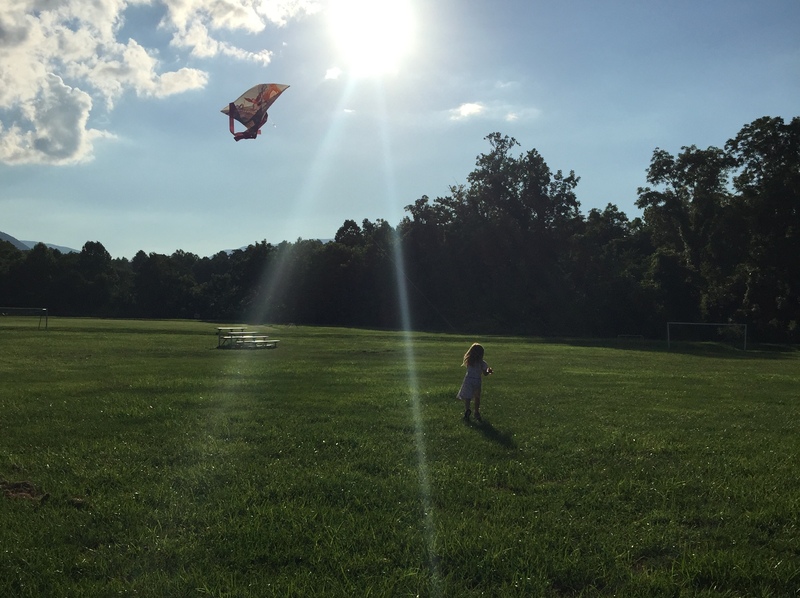 This entry was posted in Family and tagged kites, stay the course, taking risks by monkeyneedle. Bookmark the permalink.